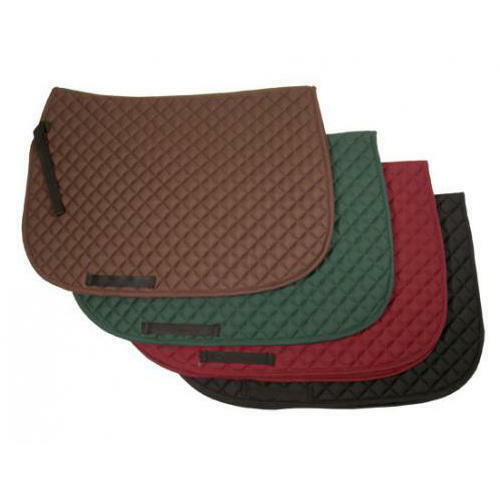 This is our economy saddle pad with no fancy styling. Still the pad holds perfectly at saddle. The generous cushion gives comfort to the horse. J. K. Overseas Corporation, established in the year 2003, is a leading name engaged in the Manufacturing and Export of high-quality equestrian products. Continuously driving towards excellence from last 5 years. The Company has carved a niche for itself in the industry through the consistent and regular supply of quality products at most reasonable prices. Our team of workers has huge and intense knowledge about the products and thus is able to come out with such products that bring in maximum profit to the company in terms of revenues. We produce goods that cater to customers who are spread across the globe and thus adds a lot to our credibility. Our product range is comprehensive thus adds to our advantage of the company and helps us to win accolades from our clients all over the world.